Here’s the line-up! 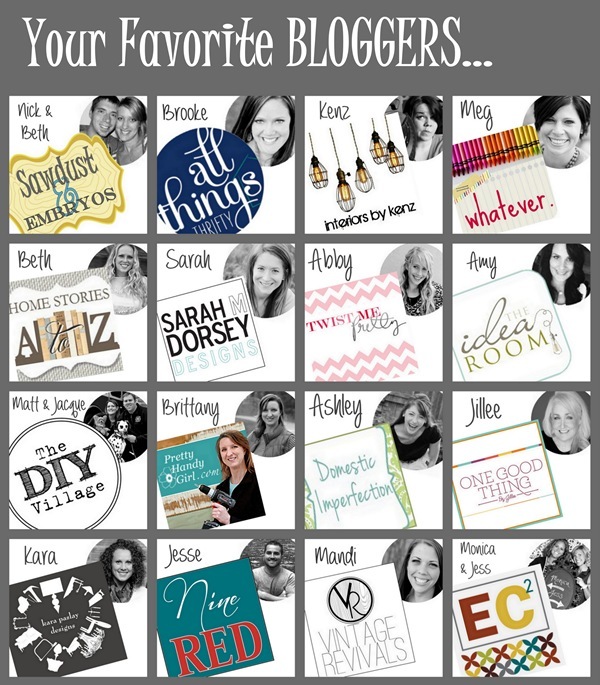 SUCH an amazing group of bloggers!! 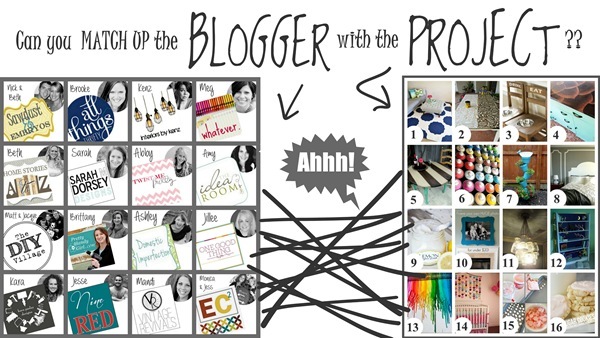 And below are projects from each blogger (including ME!) that you’ve likely seen viral all over Pinterest! 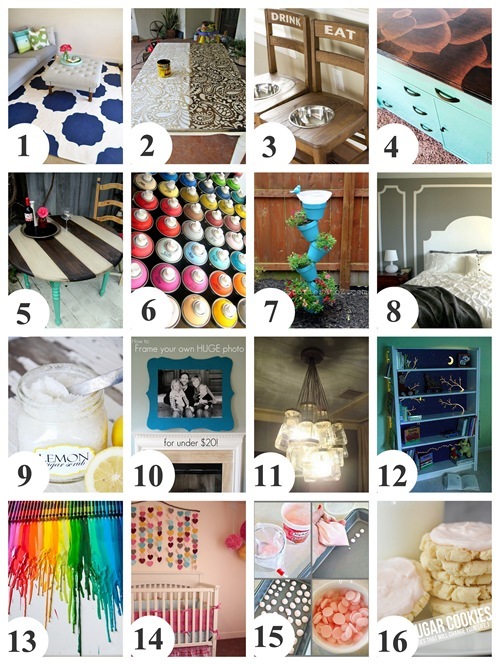 Many of these projects have been featured here on Home Stories A to Z.
Just… in time for Father’s Day! TWO WINNERS! Here’s the links to the home page of each blog (in no particular order). Now go forth and find those projects! Good luck! This contest/giveaway is in NO WAY affiliated with Pinterest or Facebook, and we hereby release them of any liability related to this promotion, the receipt of prize winnings, etc. 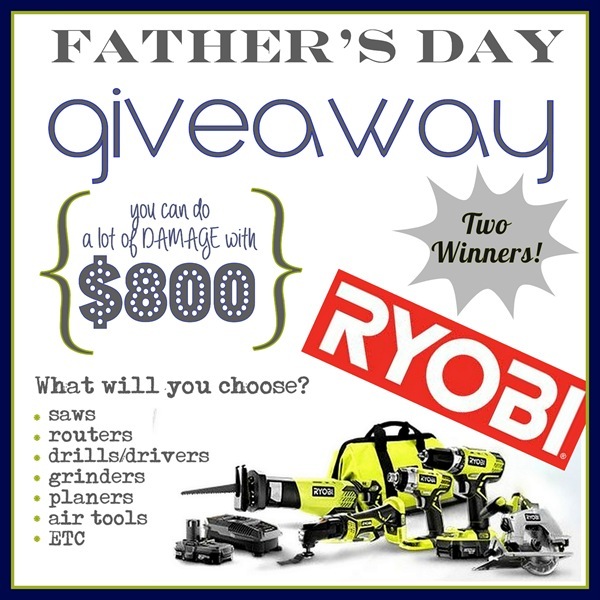 The giveaway prize has been generously provided by RYOBI Nation. All prizes will be mailed by the sponsor and all participating blog owners are not held responsible if the prize is not fulfilled. Giveaway starts Monday 6/10/13 at 5am est and ends at midnight on Saturday 6/15/13. Alternate entry available by sending your entry via email to wehopeyouwin@gmail.com. Winner will be announced on Sunday 6/16/13 and will need to respond within 48 hours to claim their prize, or another winner will be chosen.Winner must be 18 years of age or older and a US citizen in order to win. May the force be with you. Clever contest!!! I’m relatively new to blogging so I would have to look up every project but, I will be pinning more as I follow all of you. Thanks for sharing. I knew yours right away!! I’m pretty sure I got the rest, just don’t know if I was fast enough. I don’t have a single tool, and I just bought a house so this would come in SOOO handy. Fingers crossed!!! I knew almost all of them right away thanks to my features on Tutes & Tips Not to Miss but a few I had to look up :).